Buying a car is a bit similar to approaching a girl for a date. Your body language and choice of words tell a girl whether you’ve got butterflies in your stomach or you’re overflowing with confidence. A car salesman can also tell whether you’re a nervous first -time buyer by just observing you. However, bringing along an experienced car buyer enlightens you on Things You Should Never Tell A Car Salesman When Buying a Car. Truth is, not every car salesman you meet has your best interests at heart. Why? Because most car sales reps make most of their income through commissions. So that’s why they won’t feel an inkling of guilt selling you a battered up car that’s just undergone a few cosmetic repairs. How do you know the Things You Should Never Tell A Car Salesman When Buying a Car? 4. I must have that particular car! Now you Know 6 Things You Should Avoid Telling A Car Dealer When Purchasing a Car! Let’s assume your family car just got swept up by a terrible hurricane. Unfortunately, you didn’t have a comprehensive auto insurance cover. Therefore, you can’t get any compensation. In this case, you really need a car because your family needs to travel conveniently. Despite the inconvenience at hand, you should never tell a car salesman that you’re desperate for a new car. Car sales reps know that desperate customers are easy prey. So, he or she will convince you to apply for extended auto loan repayment periods. This is a disadvantage because you pay high-interest charges. Apart from signing you up on costly loan repayment terms, a car salesman can lure you into a bait and switch trap. How does this work? You agree to apply for an auto loan at a specified interest rate and repayment period. After a couple of weeks, the car salesman calls you with bad news. He or she informs you that the creditors rejected your application but you can get a new car as soon as possible if you accept a new offer. Unfortunately, this new offer has significantly higher interest rates than your original application. This here appears in the top five list of things you should avoid saying when buying a car. That’s like asking a doctor who’s about to inject you whether the needle hurts. Some first-time car buyers make this mistake hoping that the car salesman will make informed purchasing decisions on their behalf. This display of inexperience attracts sly sales reps who close in like a shark that’s spotted bleeding prey. It’s easy for a dishonest car salesman to sell you a car that has had multiple car accidents if you disclose your inexperience with cars. If not selling you a banged up car, they’ll offer you a really low price for a car you want to trade in. In the automobile industry, car dealerships and retailers make more profit through credit than cash sales. A cash buyer pays less because a credit buyer pays credit application charges first then interest over a long period. Plus, a bad credit auto loan yields more interest revenue than a typical car loan. A car buyer who informs the car salesman of their intention to pay cash up front ends up buying an expensive car. The sales rep will compensate for the loss of credit revenue by inflating car prices in order to increase their commission. In addition, they’ll adopt a rigid stand when you negotiate for lower prices. Insisting that you’re fixed on a particular model exposes you to manipulation. Let’s assume that you visited a car retailer’s website and spotted a saloon car you really liked. The shape is fantastic and it has all the technical features you desire. It seems to be your lucky day because the salesman informs you that you can trade-in your current car. Things take a different twist when you show up at the car lot. The car sales rep sadly informs you that they’ve just run out of stock but you can still trade-in your car as you await the next batch to arrive within a week. When the vehicle finally arrives, the car salesman informs you that the price shot up due to high public demand. If you want the car, you’ll pay a higher top-up than your initial agreement. At the beginning of this article, we saw that buying a car is like asking a girl out on a date. If you tell your crush that you have a nice job and a big house, she’ll order the most expensive food on the menu. Why? It’s because you convinced her that you’re worth big bucks! 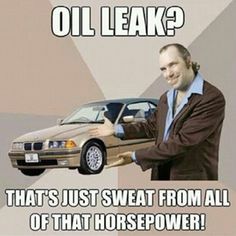 If you’re at a car lot and the sales rep finds out you work in a highly lucrative field such as Engineering, Law, or Medicine, they’ll hike their prices immediately. A sales rep will offer to install car accessories in your new car only to raise the price unreasonably. Sly car sales rep know that you have a high purchasing power and this motivates them to trick you. When was the last time you downloaded your credit report? Did you know that auto loan lenders determine your interest rates by assessing your credit score? That’s why you should always stay updated on your credit rating. Especially if you have several credit cards or recently borrowed a bank loan. Beware of car salesmen who might take advantage of your ignorance and impose an unfair interest rate on your auto loan. Buying a new or used car isn’t hard. However, you need to watch out for common tricks car sales reps use. Always inform a car salesman that you’ll make a cash purchase AFTER negotiating and agreeing on the car’s price. If you want to do a trade-in, make sure you find out your available options in case the car you want to buy is no longer available. This will prevent you from getting cornered into unfair deals.